I’ve known about this for a long time but I was sitting on it until I had the book in my hands. Then I was going to sit on it until I could surprise my Mom with her copy, but she’s already seen it on Facebook. 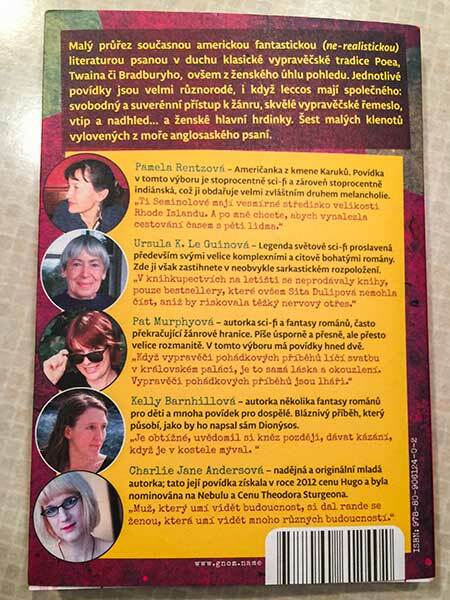 Last year I was invited to be in an anthology of science fiction by women authors to be published in the Czech Republic. Kelly Barnhill. Charlie Jane Anders (who has a book out now called All The Birds in the Sky that sounds fantastic and is on my list). Pat Murphy. And Ursula LeGuin (!). The finished book is beautiful. It’s hard to tell from the picture but it’s just a little bit bigger than my hand. I so pleased with how it turned out. 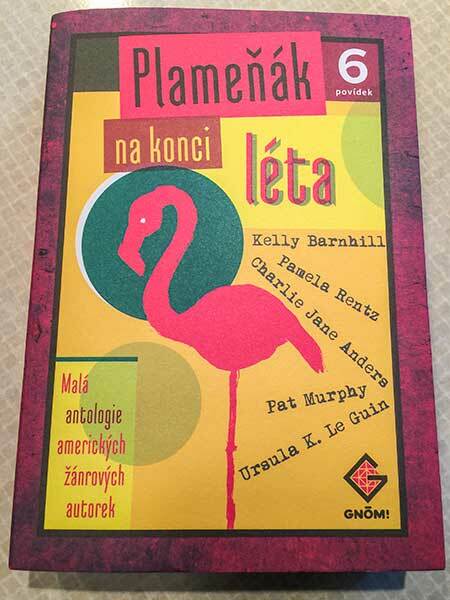 There is more information here (in Czech). Oh, and the story is The Battle of Little Big Science. It’s in the collection Red Tape: Stories from Indian Country which can be yours for .99¢. This entry was posted in doing it wrong, favorite and tagged writing. Bookmark the permalink. “Pamela Rentzova” must always be said in a husky Natasha Fatale whiskey-and-cigarettes voice. Congratulations!